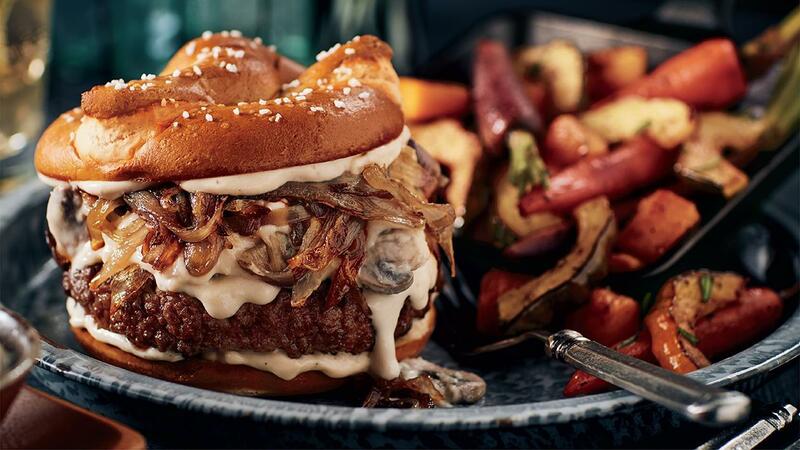 A rich, indulgent “super star” burger. Dijonnaise made from Hellmann’s Real Mayonnaise and a perfectly seasoned all-beef patty; topped with fondue and caramelized onion and served on a toasted pretzel bun. Try this burger on your next specials menu!